Komatsu leads the way when it comes to their backhoes and other compact equipment. Made with great quality and offered for less than most competitors it’s easy to see why Komatsu Backhoes are so popular. When it comes to replacing the tires on your Komatsu Backhoe contact Monster Tires, we offer any tires you may need available in several tread patterns and ply’s. 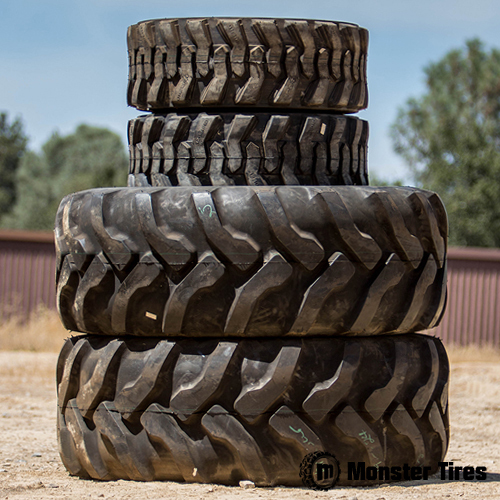 When you work with Monster Tires you get the best prices, quickest shipping and you work with the most knowledgeable tire experts who have been in the industry. Being one of the top name brands in the industry, we see many contractors leaning towards running Komatsu backhoes and replacing tires on Komatsu machines is incredibly important. Keeping your Komatsu Backhoe running at peek performance tread level will increase operator safety along with job site safety. With laws and regulations on tire tread level becoming more strict, ensuring that you are in compliance will save you time and money. We carry tires for all makes and models, including WB93 – WB156 Backhoe Tires and WA140 Backhoe Tires. If you have any questions for our expert staff, please contact us today regarding Komatsu Backhoe Tires.